Kylie Jenner is the makeup mogul we know and love - and while the youngest of the Kardashian-Jenner clan (see her incredible 21st birthday Kylie Cosmetics drop) obviously knows a thing or two about creating a bomb makeup look, we seem to forget that underneath her foundation she also has a flawless fresh-faced complexion (no-filter required). 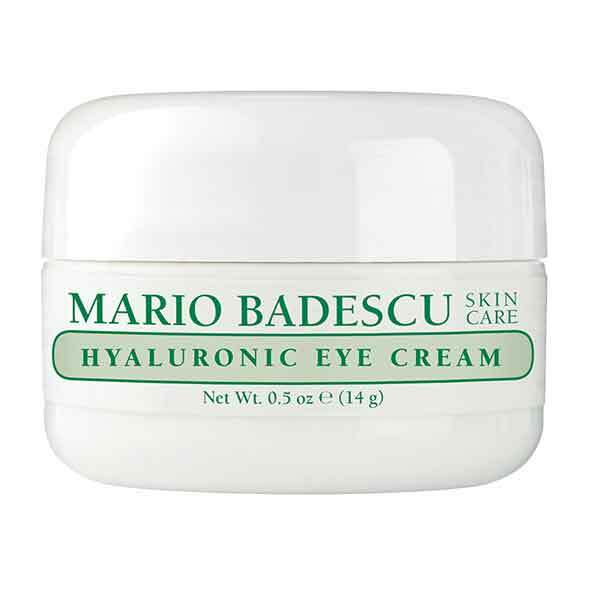 One of the skin care products that contributes to the reality star’s amazing skin she revealed as cult product Mario Badescu Hyaluronic Eye Cream. What we love about this product is not only the ultra-hydrating qualities of hyaluronic acid, which helps to smooth fine lines and wrinkles, but the aloe vera and euphrasia extracts. These two ingredients work to simultaneously soothe and cool down the eye area which in turn reduces puffiness, but also brightens. Say goodbye to dark under-eye circles! Do you have a holy-grail eye cream? What do you love about it? Jessica Gomes: "I’m all about embracing what you’ve got"
I have not found eye cream that does what it says !!! Kylie is only young ... she wouldn't have many if any lines . Whoops: EDIT!!! that's Kendal I confused her with ! Iv'e always liked Kylie, but iv'e never heard of this brand. I wonder how much it is? I see so many Kylie Jenner articles and I'm honestly a little surprised - I don't at all dislike the Kardashians but I personally don't know anyone who really looks to Kylie Jenner specifically for skincare or beauty advice... she has a successful makeup business, she's a beautiful 21 year old with a large team of expensive beauticians, dermatologists and cosmetic surgeons at her disposal... neither of those things make me go "I wish I knew her secret". Being rich is the secret - having older sisters who spent decades trying out different methods and doctors is also the secret! I've yet to find an eye cream which does what it claims to do. This cream sounds good. I am yet to find my holy grail eye cream so this one is worth a try. Surprised to see a sensible, affordable product. I was sure it was going to be the super pricey hard to find one I read about recently that one of the VS models swears by. I use a few different eye creams. Still searching for the one eye cream that will fix everything. No HG one, not even one that really works....One day wish to find one. Wouldn’t buy it because of her, but it was already on my must try list! Kylie Jenner is young so having a need for eye cream is irrelevant for her but using one does protect and ensure her eye area is also cared for given the high level of make up she must wear to always look fantastic. On a more serious note, those of us past the age of 40 or so and like me, in their 60's finding the perfect eye cream is a real concern. I have tried so many and as my eyes are very sensitive it becomes even more of a challenge. Almost everything I try irritates and within 10 minutes I need to wash my face fully and start my night cream regime again. Also, the high cost of eye creams makes the search a financial drain when you can't use the product. The size is quite small in purchasing too, and again, something that we can't even get a sample of in the department stores any more. I will try to check this out anyway, if I can trial some it would be good as I have developed bags under my eyes lately - they are almost like 'shipping containers' ha ha. The puffiness is also disturbing now and once upon a time we could use hemoroid cream to control this but the ingredients in those have changed too. No 21 year old needs eye cream! My thoughts exactly ** misfortune8**! I've actually been wanting to try this product! It's definitely on my list of eye creams to try when my current stash run out, haha!  I have heard great things about Mario Badescu but I have yet to try any of their products. I think Kylie's blonde locks are growing on me, I didn't like them at first. I haven't tried the eye cream but have tried other Mario Badescu products. This is by far the best eye cream I have used! I definately have seen a difference uder my eyes after 2 years of using the cream. I love that it rich and hydrating throughout Winter. I love eye creams and I currently have three in use - Philosophy Miracle Worker, Neutrogena Rapid Wrinkle Repair and John Plunkett Collagen Eye Lift. The only Mario Badescu product I have is the Aloe Facial Spray.